Worm cutters are the main type of tool for finishing, roughing and precision cutting. Like any other cutting tool, the teeth of the cutters wear out and require sharpening. Sharpening of worm mills is quite a difficult task, requiring a professional approach. 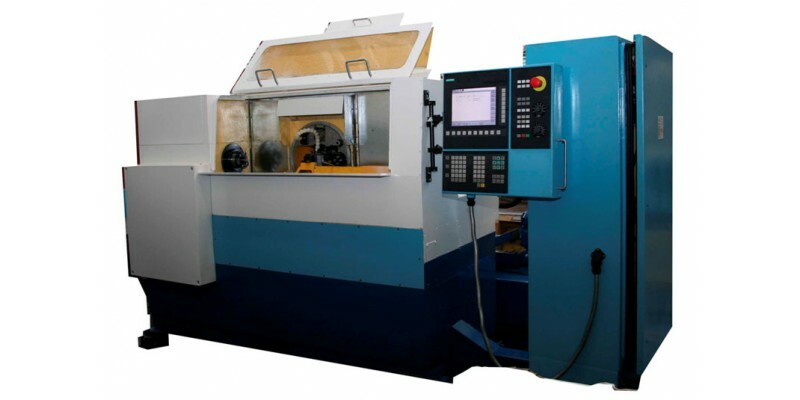 For sharpening on the front surface of the teeth of the tail and cone worm mills, the enterprise produces a special grinding machine with CNC VZ-715F4. Semi-automatic machine allows sharpening multi-input and single-pass worm cutters with straight and screw-like (right and left) chip flutes. The grinding process is performed in an automatic cycle. Installation and removal of the product is done manually. Control of the drives as well as the cycle of the semi-automatic machine is carried out by the CNC SINUMERIK 828D manufactured by SIEMENS. The control program of the semi-automatic machine grinds the cutters in draft and finishing mode on one tooth of the milling cutter with the subsequent division into the next tooth, draft and final turnaround (double stroke - division) with different values of the contour speed. lubrication of the carriage of the transverse carriage, the vertical carriage and the straightening carriage. The working area of the semiautomatic device is closed by a folding screen of the fence. On the guard there is a control panel. On the back surface of the housing there is a system for supplying lubricating-cooling liquid to the working zone, its collection and purification. 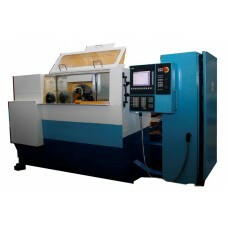 Semi-automatic machine has high reliability and efficiency. The accuracy of the processing corresponds to the technical requirements of the AA class in accordance with GOST 9324-80.